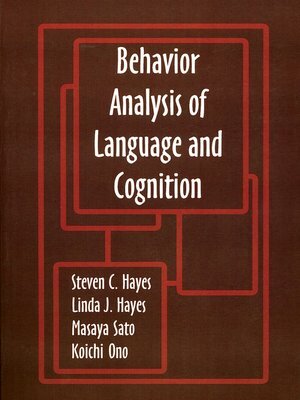 Behavior Analysis of Language and Cognition, originating from the Fourth International Institute on Verbal Relations, provides a contemporary look at the nature of stimulus relations and verbal events and their impact on cognitive activity. The book covers a range of basic and applied topics, but throughout the book, authors return to a common question: how do language and cognition work? Some of the best authors in the field present their answers to that question here. Koichi Ono, PhD, is professor of psychology at Komazawa University in Tokyo, Japan. Mayasa Sato, PhD, is professor of psychology at Teikyo University in Tokyo, Japan.